In our natural habitat outside Ashland, I think of life as art. Seven years ago Michael Bianca joined me, and his talent, humor, and experience are perfect for creating together. 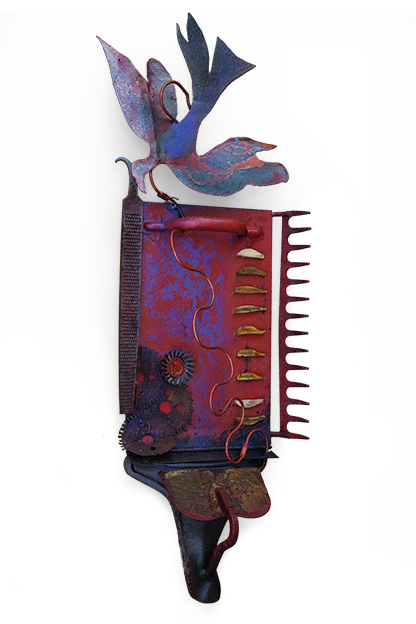 We paint and weld, using discarded tools and rusted metal, with an eye for three dimensions. Our paintings and sculpture are always one of a kind, fitting fragments together aesthetically. Abstract or whimsical, we love using found objects, striving for something aesthetically interesting.